This isn't like those iron supplements you've had. Fresh Spirulina's combination of iron, B vitamins, and other antioxidants is proving to be extremely effective for those needing an iron boost. Iron supplements can have uncomfortable side effects and are tough on the gut. That's why it is imperative to administer iron in a form which is both absorbable, digestable & bio-available. Fresh Spirulina's combination of iron, B vitamins, and other antioxidants is proving to be extremely effective for those needing an iron boost. 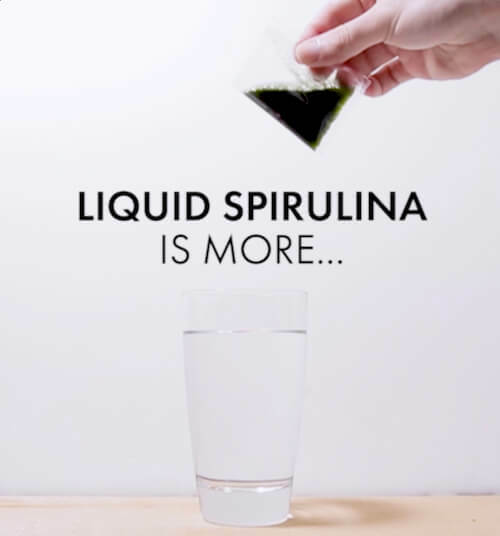 What is fresh liquid Spirulina? Spirulina is one of the most nutrient-dense, plant-based sources of vitamins and minerals on the planet. While it's been available in dried form for a while, Spiruvive developed a new way of freezing it raw and fresh - optimizing its bioavailability and offering 150% more nutritional value than when dried. Studies show it too. Its combination of iron, B vitamins, and other antioxidents is proving to be extremely effective in the fight against anemia-based side effects. Enjoy a 3 month supply of Fresh Spirulina. Retail Value of $260 now sold online for $199.99 with Free Shipping!